But music and songs aren’t what I’m writing about this morning. Yesterday I had errands to take care of and when I was headed home to meet a client, I made the choice to enter my neighborhood from another way. 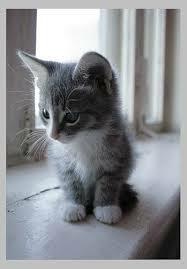 As I made a left turn off N. Main onto Chestnut I saw the body of a little grey kitten on the road ahead of me. Heavy-hearted, I continued up the hill. I could hardly believe it, but there ahead of me was another one, another little grey body. Grieving, I drove the short two blocks home. Of course, I couldn’t get the wee ones out of my mind. Knowing I couldn’t bury them (it was hot, and I don’t do heat! And certainly can’t dig in hard ground, in the heat, or any other time.) I felt I had to do something, though. I got a shovel and drove back to move their little bodies out of the road, the only thing I could do, and it wasn’t easy. I realized they’d not been dead long (no rigor). It seemed to take a long time, but I was able finally to lay the first one under the shade of a bush at the back of the church yard. As I walked back to the car to drive down the hill to the second one, I happened to look up the intersecting road, Water Street, which is perpendicular to Chestnut, and saw what appeared to be a tall and slender grey and white cat. It was watching me from half a block away. Still as ice, it was. Regal, queen-like. So still that I wondered if it was not a cat at all, but a piece of yard art. But I had the strangest feeling that it was the mother. “I’m just moving three kittens off the road.” He was still for a moment, then drove away. I came home haunted by the deaths of all three babies. I still am. The yard art? Later, when I drove back by Water Street, just to see (I had to know), it was gone. Do I wish I’d not gone home by another way? Update: Sunday, 9:37 p.m. All three kittens have been buried. My neighbors, M and R, took care of the first one tonight. Someone else must have taken care of the second and third. I feel better knowing they’re now all within Mother Earth. I know the heartache you feel. Even a dead squirrel brings me to tears. One time, when coming upon a dead gopher in the road, I went into a rant to my husband about how humans should never been allowed on this planet. We just seem to have made a mess of everything. Sorry about my less than loving attitude, which rears its ugly head at times. Oh, no apologies needed. I often feel the same way. Thank you, my friends. Writing about it helped, as I know you know. Beloved Amy, thank you for being Outrageous Love in this world. We are crying with you. Thank you, Amy, for lovingly attending to the three little ones. I’m so glad the young man was there to help you lay them to rest. I know all who read your postings are grieving w/ you for the kittens and also, the loss their mother is feeling.